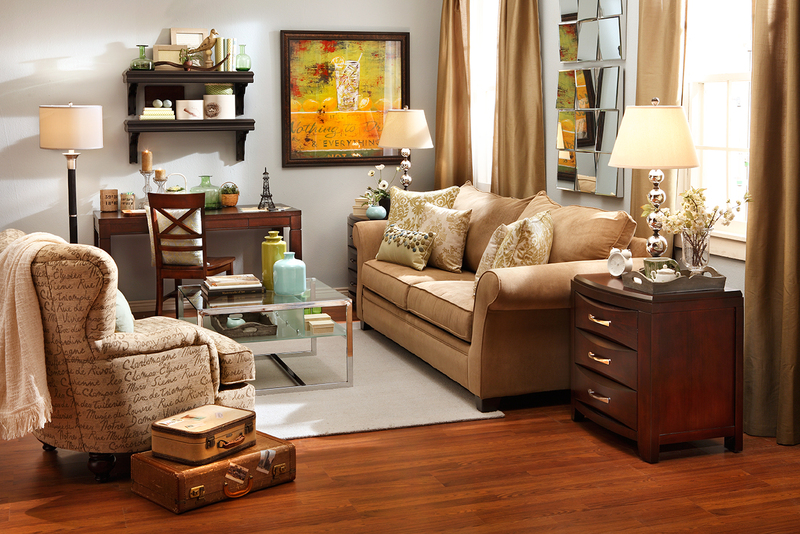 You can make any current living space new again by re-envisioning its purpose in your home. And with changes that all families experience — whether it be a growing or shrinking number of children at home, a need for more storage or a desire for a dedicated area to work on projects — comes an opportunity to reconsider your space. With a little bit of planning, you can take that extra guest room in your home and transform it into a fabulous, new space with a renewed purpose. If you need an extra place for out-of-town visitors to stay, consider ways in which your guest room can do double duty. A pull-out sofa allows you to quickly turn your room into a comfortable sleeping space at night, but just as swiftly bring it back to a usable space during the day. During the day or when guests aren’t present, fold up your pull-out sofa, and your guest room becomes a restful reading room complete with a comfortable accent chair and a writing table. It’s the perfect place to curl up with a cup of tea and your favorite magazine or book for some relaxing “me” time. 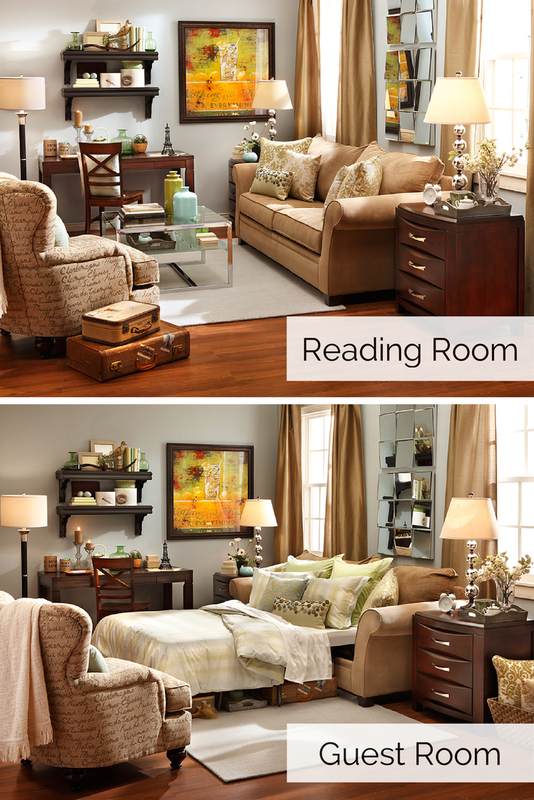 Bedrooms morphed into dressing rooms are especially desirable in older, storage-challenged homes. Many homeowners are taking cues from boutique dressing rooms and transforming their spare room into a swanky space, complete with elegant lighting, plush ottoman seating and full-length mirrors. Create a craft room by adding shelving to store items in decorative baskets or jars and utilizing bookcases with cubbies to help stay organized. 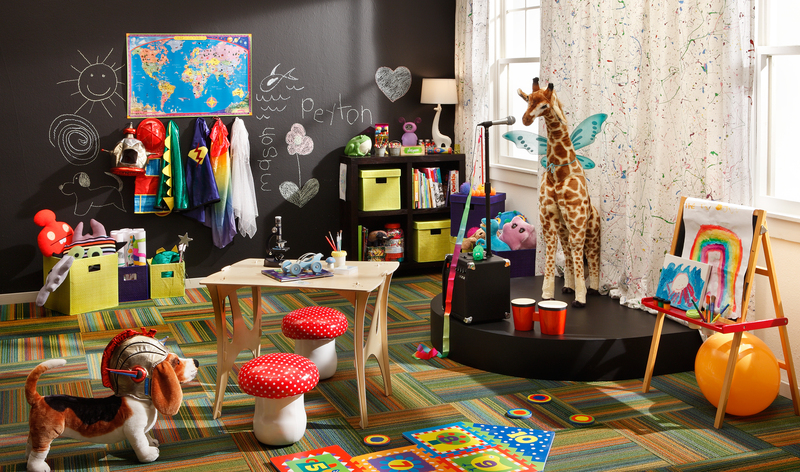 Kids will love this transformation from guest room to playroom! Their new- found home for board games, puzzles and toys can also serve as dedicated space for tea time, video games and playing dress-up with friends — all the while keeping the rest of the house in order. Show us your reinvented guest room on Twitter.